Summary: In order to negate the effects of malware and viruses, you’ll need to keep your security software up-to-date as often as possible. 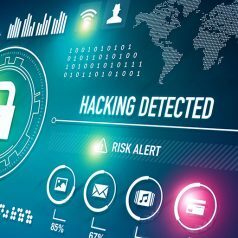 In the case of computer software, and certainly internet security software, technology plays a pivotal role in ensuring the safety of your computer. Now, with the rapid advancement in technology, this has become an even more glaring issue as new malware and viruses are constantly being developed to haunt PC owners everywhere. Not everyone has the luxury of resorting to a series of mission critical consoles to ward off the sting of hackers and online hooligans. However, by properly updating your security software, you can potentially minimize the damage done by these individuals. Ignoring this can have serious consequences. Now, once loaded, your security software is only as good as the information available in regards to that patch. For instance, if a hundred new viruses were to come out in the month of February and the last patch that your current security software was released in January, those one hundred viruses could walk right by your computer’s defenses without a trace. And, while you’re browsing the web thinking your software has you covered, you’re actually walking through a minefield without even knowing. Be sure to always maintain and update your security software as frequently as possible. Most programs will automatically update once a new patch goes live. But, there is the chance that you have to manually click the update button in order to get started. And, if you continue to wait on this, you could essentially be facing the wrath of a new virus that can steal your information, take over your computer or just simply be a nuisance. The experts over at Constant Technologies, Inc., a custom control center furniture company, believes the best defensive strategy you can take to a virus is staying on top of the latest security updates.